Libra Horoscopes show a personality who values peace, harmony and equality. Libra values peace, harmony and equality above all else. They are loving, compassionate and devoted to their family and friends. So who exactly is Libra? What’s their best colour? What’s their lucky number? With which starsigns are Librans most compatible? This page gives a basic overview of those born under the Zodiac Sign of The Scales and the Libra Horoscopes. 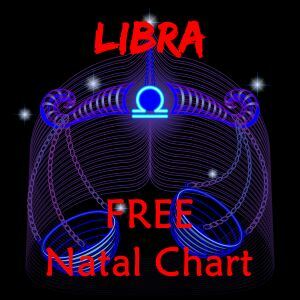 However, to dig deeper and plot a Libra birth chart then check out this Astrology Guide. And if you are a Libra, we know you will love learning more about your intuitive nature! So, who is Libra and what do the Libra Horoscopes predict for those born under the Zodiac Sign of The Scales? Stop! Is the Sun Sign definitely Libra? Born on the Cusp of Libra? Babies born on the day the Sun moved into a new sign are born “on the cusp”. Just two hours before I was born, the sun moved into the next star sign. Is the Sun Sign Libra? Or could it actually be Virgo or Scorpio? Those born “on the cusp” of Virgo-Libra or Libra-Scorpio, (ie within a few days of either the 20th October or 20th November) should use this link to check exactly which star sign the sun was in the day of birth: Cusp Signs (link opens on a new page on this website). You will discover you are a force to be reckoned with Libra! Libra is the 7th sign of the Zodiac and its symbol (or glyph) is the balancing scales. 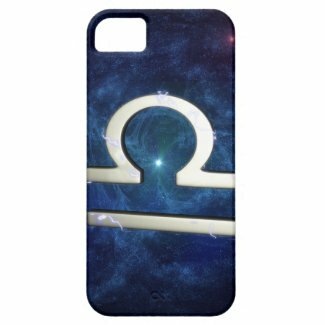 The Zodiac Sign of the Scales brings equilibrium to the cosmos and harmony to nature. 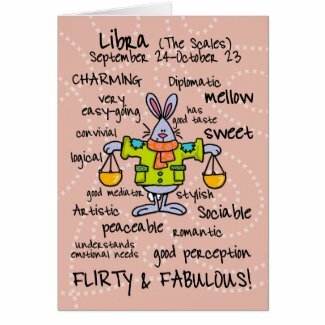 In Western astrology, Libra is considered to be a “masculine”, positive and extrovert sign, along with the other five even-numbered signs of the Zodiac: Aries, Gemini, Leo, Sagittarius and Aquarius. Libra can be seen by the naked eye, but is a relatively dim constellation that sits between Virgo and Scorpio. It is the only constellation that does not depict a living being. Are you in Love with a Libra Man or Woman? The constellation of Libra represents the scales of justice. The story of how this constellation came to be is greatly debated. Libra was originally believed to be the claws of the Crab of Scorpio, but was given its first accolades as an individual constellation during ancient Roman times. Unlike the other constellations, there is no particular story or myth that tells the tale of how Libra made it into the stars. Some believe that Libra is so entwined with Virgo, the Goddess of Justice, that they originate from the same source. Others believe that the Romans named Libra to represent Julius Caesar’s Scales of Justice. Still others believe that Libra originated somehow with the story of Hades and Persephone. As the ruler of the underworld, Hades falls in love with Persephone’s beauty and forces her to become queen of his dark domain. Persephone’s mother, Demeter, was the Goddess of Agriculture. While mourning the loss of her daughter, she neglected her growing duties, causing a drought on the earth. Zeus, Demeter’s brother, is angered by this and demands that Hades release Persephone. A compromise is reached and it is decided that she will split her time between the Underworld and the Upperworld. Could the scales represent the balance of Persephone’s time between two worlds? Or is Libra simply a representation of the scales of justice and world harmony? This is a subject that will always be debated. Let two of my favourite Astrologers, the Astro Twins, help Libra plan their way through 2019. Libra is ruled by the planet Venus, which is the giver of harmony, balance and beauty. Do you identify with any of these Libra Celebrities? The Zodiac is divided into four Elements: Earth, Air, Fire and Water, which represent the four basic modes of being. Signs that share an Element are generally regarded to be harmonious with each other. The Element of Libra is “Air”, which it shares, and is compatible, with Gemini and Aquarius. The Element of Air symbolizes man’s intellect and his advanced ability to communicate and reason. It also emphasizes the social aspect of human nature. The signs of the Zodiac are also divided into Qualities: Cardinal, Fixed and Mutable and signs that share a Quality are generally regarded to be hostile to each other. The Quality determines the basic temperament of an individual. Those that fall within a certain Quality will tend to have dominant characteristics that remain with them throughout their lifetime. The four Qualities view the world in different ways and reacts to stimuli differently so that their reactions may be contradictory to each other. The Cardinal, or moveable, Quality is known to be a dynamic force. The original Latin word “cardinal” translates to “hinge”. It is used to describe the Quality of each of the starsigns that mark the transition into a new temperate season. This means that these signs are known for taking action and having strong leadership skills. On the other hand, Cardinal signs tend to be stubborn and demanding, as they are confident that their way is the right way. Cancer, Aries, and Capricorn are also Cardinal signs and are therefore less likely to be compatible with Libra. A person born under the sign of Libra will be likely to have a peaceful and diplomatic personality. They will be charming and amicable. However, they have a deeply-ingrained desire for justice and equality. Librans are easy to get along with and make excellent friends. This means that they are social beings and love to be in the company of others. What’s to dislike about Libra? 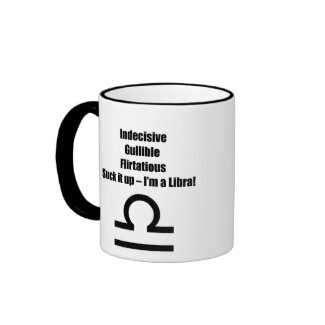 On the negative side of things, Librans tend to be gullible and easily swayed. This means that they are prone to being indecisive or making bad decisions. Librans are very friendly. However, this can lead them into flirtatious behavior that can cause them to be disliked by those who feel threatened by them. What would you be good at Libra? Librans value harmony and balance, so they will value careers that allow them to work toward creating equality. They desire a comfortable workplace. This means that they are not suited to outdoor construction-type jobs or any position that would carry safety risks. Those born under the sign of Libra are social by nature. They will do best in a job that allows them to work closely with co-workers or clients. Great careers for Libra would be: mediator, counselor, hair stylist, interior decorator, lawyer, waitress/waiter, volunteer coordinator or community organizer. Libra rules over the lumbar and back regions, including the kidneys. They are prone to back pain and problems in the urinary tract, such as gravel in the bladder, stones in the kidneys and infections in these organs. Those born under the sign of Libra should be especially careful to eat a healthy diet to avoid these issues. The lucky colour for Libra is green, the colour associated with it’s ruling planet, Venus. Green is reminiscent of nature, fertility, balance and harmony. Green suggests good health and youthfulness. It symbolizes growth, vitality and adventure. It is also the colour of money, bringing with it success and financial security. Librans find luck with the color green because it provides the feelings of balance and equality they desire. Librans are often the great equalizers, attempting to bring harmony to everything and everyone around them. Librans prefer to vacation in the lap of luxury rather than roughing it in the great outdoors. They love cushy hotel rooms and comfortable travel accomodations. Librans want nearby places to shop and dine and enjoy experiencing local culture with their friends and loved ones.